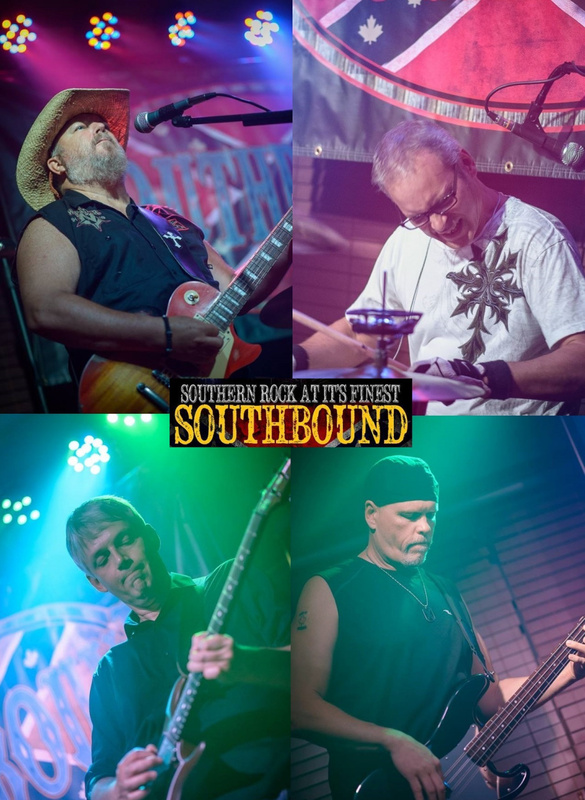 If your taste in music leans to hard driving southern rock, then Southbound is the band for you. Formed 6 years ago, Southbound have been entertaining audiences all around the Ottawa region with their renditions of the best in southern rock n' roll. Performing hits from greats like Lynyrd Skynyrd, The Allman Brothers, The Black Crowes, ZZ Top, Blackberry Smoke and more, they're sure to play your favorites. Southbound are regulars headlining many of Ottawa's annual festivals and have also opened locally for The Killer Dwarfs and The Box, plus played most of the top Ottawa bar scene venues. A mix of experienced talented musicians, Southbound are Rob Balsillie (lead vocals and rhythm guitar), Pat Dugas (drums and vocals), Rob Sands (bass) and Luke Jones (lead guitar).